Peace of mind: fire alarms which have no code requirement are not automatically connected to the fire department. Using FMC ensure the fire department is called on every alarm, immediately. In Cambridge, we currently provide OPEN ACCESS™ fire alarm monitoring, which electronically connects your facility with the dispatching fire department. This results in increased dispatching accuracy and speed, and a proven reduction in fire department response times. Independent studies have shown that monitoring through OPEN ACCESS™ reduces fire department response times by 114.7 seconds. Fire Monitoring of Canada has been providing OPEN ACCESS™ fire alarm monitoring in Cambridge for many years, which brings verifiable reductions in fire department response times through this service. 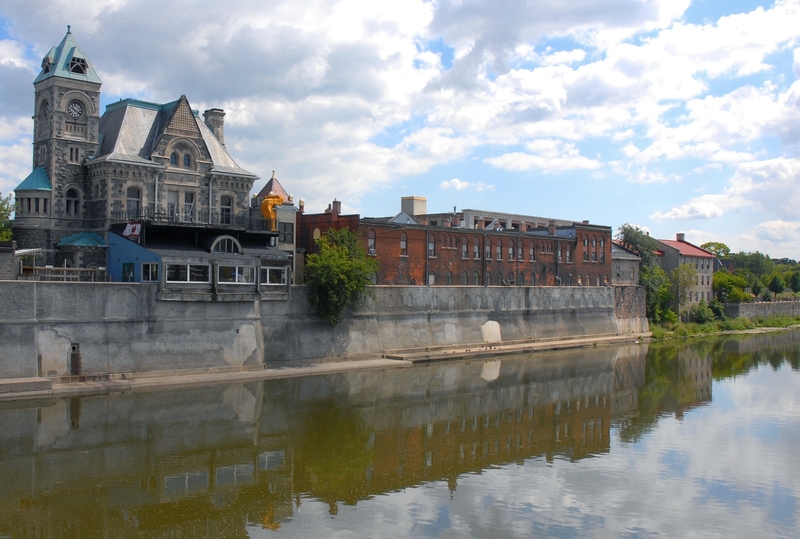 Our ULC fire alarm and sprinkler monitoring services are ideal for this diverse city which combines modern conveniences with the historic and scenic charm of Galt. This is in addition to our ability to provide industry-leading commercial security alarm installation and monitoring, CCTV video surveillance and access control. We are sure that choosing FMC will provide you with the best possible security and fire alarm monitoring solutions available. With over 25 years of experience, Fire Monitoring of Canada Inc specializes in the early notification of fire alarm signals to the fire department, FMC can provide the added benefit of electronically transmitting your fire alarm signal directly to your local fire department using OPEN ACCESS™. As a ULC-listed Signals Receiving Centre (SRC), we can provide a fire monitoring solution that is ideal for facilities such as hospitals, schools, high rise residential units or any commercial and/or industrial building that is required to be monitored under the Fire Code. FMC also provides all other “security” type installations, including security alarm monitoring, CCTV and access control.